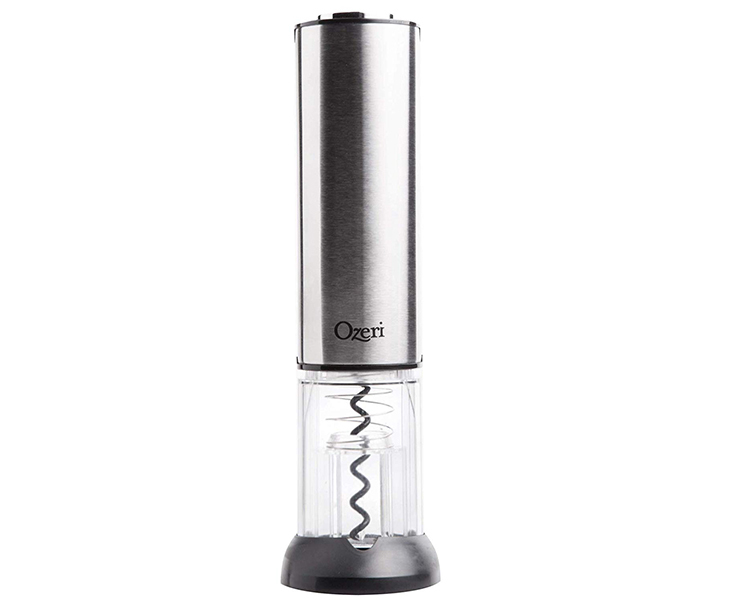 The Ozeri Extravo Electric Wine Opener in Stainless Steel with Auto Activation was inspired by a vision for effortless operation. The new and innovative Extravo auto-activates with a mere gentle nudge down on the cork. 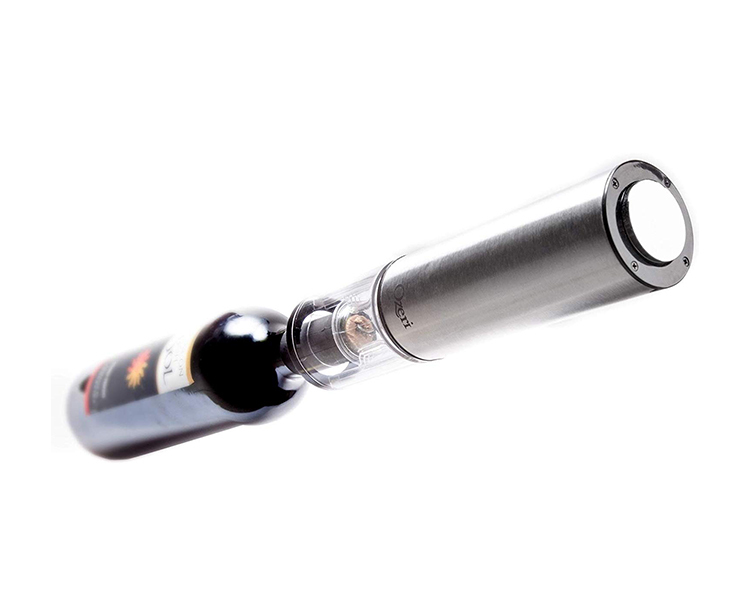 Once the cork has been removed from the wine bottle, the simple act of lifting up the Extravo activates a reverse spin and the cork is automatically ejected within seconds. 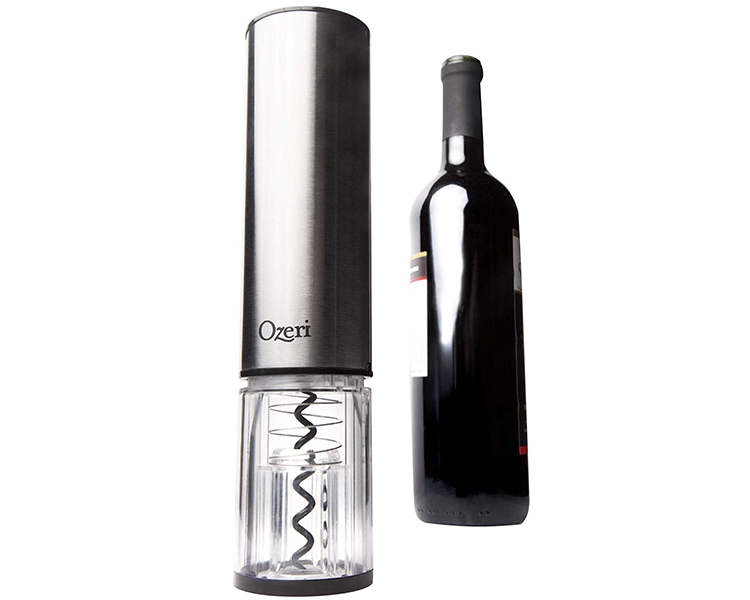 With its elegant stainless steel material, the Ozeri Extravo Electric Wine Opener impresses guests both in style and function. 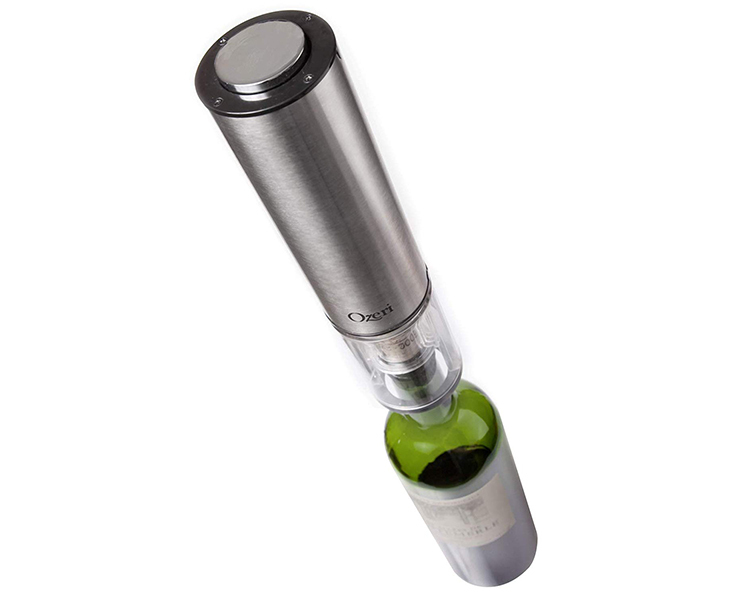 Capable at home and in restaurants, the Extravo's built-in rechargeable battery opens up to 60 wine bottles on a single charge. For those who prefer using a button to activate the electric motor, the Extravo also features a button on its top. 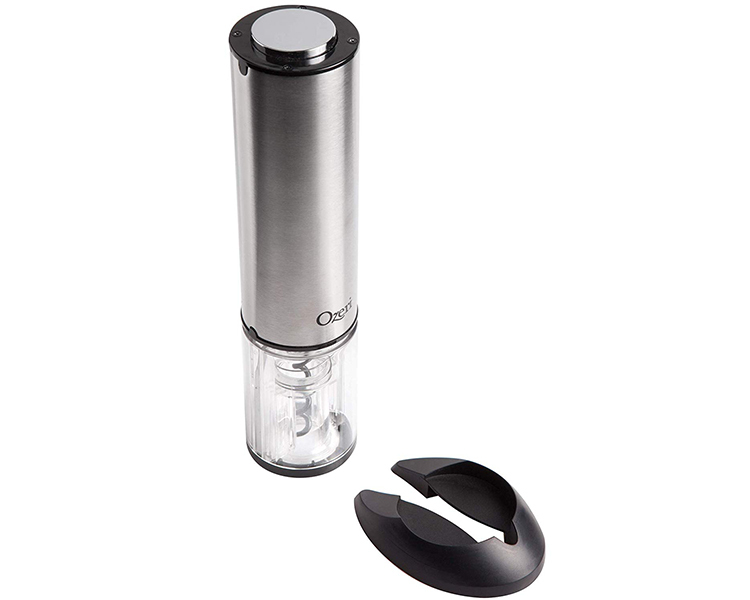 The Ozeri Extravo Electric Wine Opener is completely cordless and includes compact foil cutter that doubles as a stand. It also ships with a bonus wine pourer and stopper. 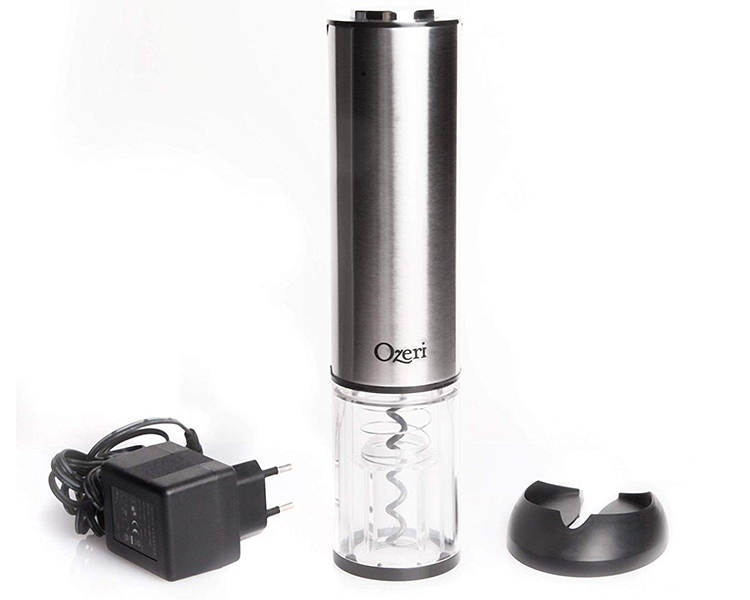 The Ozeri Extravo Electric Wine Opener with Auto Activation opens both natural and synthetic corks. 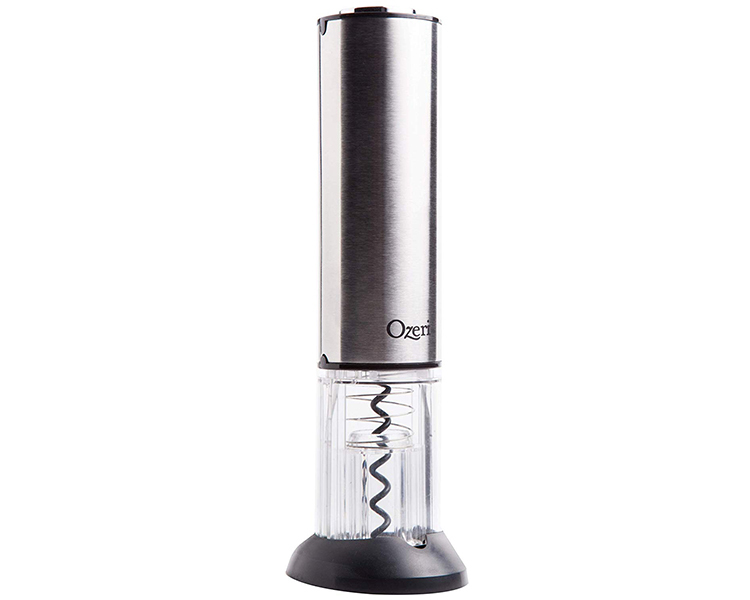 It boasts a stainless-steel exterior, button-free operation, a fast corkscrew motor for effortless handling. Use it at home or take it with you to impress your hosts and guests before the first sip.